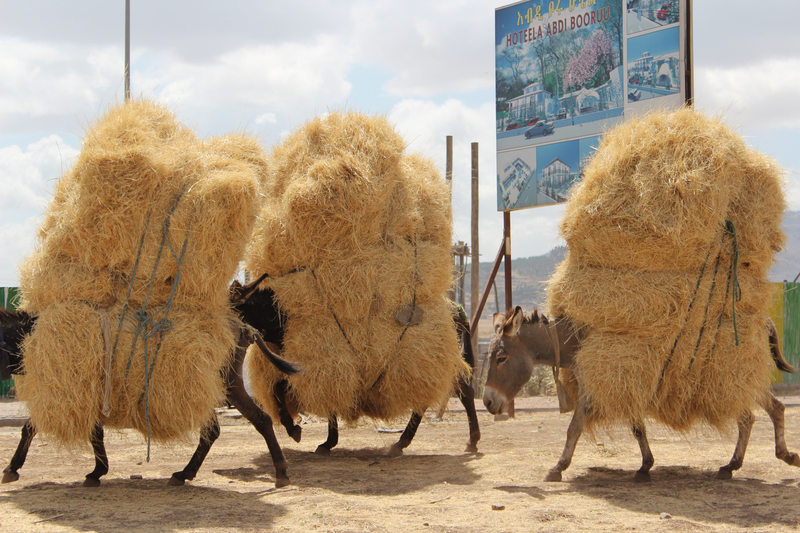 Straw-laden donkeys on a main road leading into Addis near our apartment complex. It’s a busy season for teff farmers in the highlands. 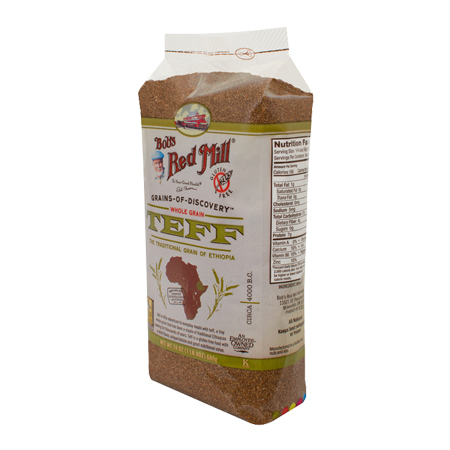 Teff is the grain that is the basis of the Ethiopian diet. Farmers harvested and stacked the teff in November; now it’s time for threshing and winnowing. 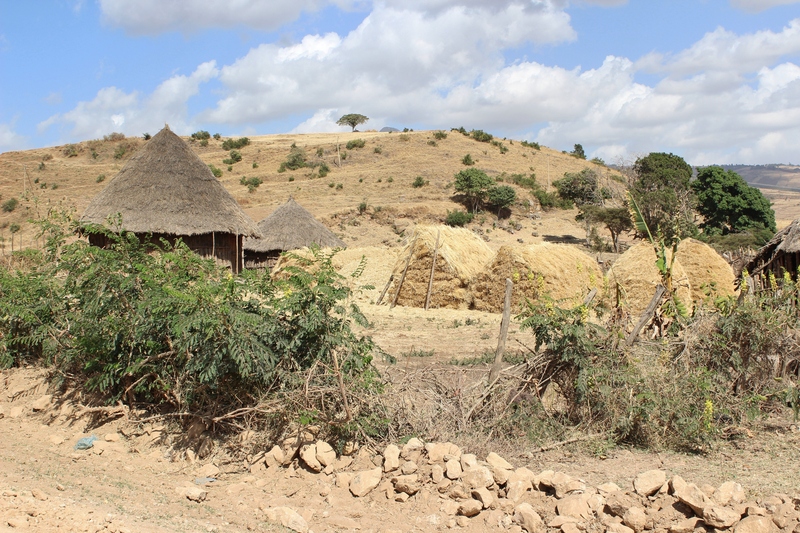 The countryside is full of dry teff fields, stacks and rolls and pyramids of teff, and donkeys and carts and trucks overflowing with the leftover straw. Threshing is a hard job. Here it’s done the old-fashioned way, with oxen trampling the grain in a stone threshing circle. Then it has to be winnowed. This blog post explains the process (and has some very nice pictures as well.) The word “teff” means “lost” in Amharic – the grains are smallest of all edible grains, and are easily lost in the separation process. Ethiopians use ground teff to make injera (the big pancake that you might be familiar with from Ethiopian restaurants); it is also used for making porridge and for brewing a kind of local beer (tella) and distilling arak. Farmers in Idaho have been growing teff for the Ethiopian-American community for about 25 years, but it is gaining popularity in the US because of its high-protein, low-gluten qualities. I have seen it for sale in the Ashland food co-op. I’ve long wanted to learn to make injera at home. I got directions about how to do it from an Ethiopian colleague. I’ll let you know how it turns out. This entry was posted in Ethiopia, Food and tagged farming, injera, teff. Bookmark the permalink.